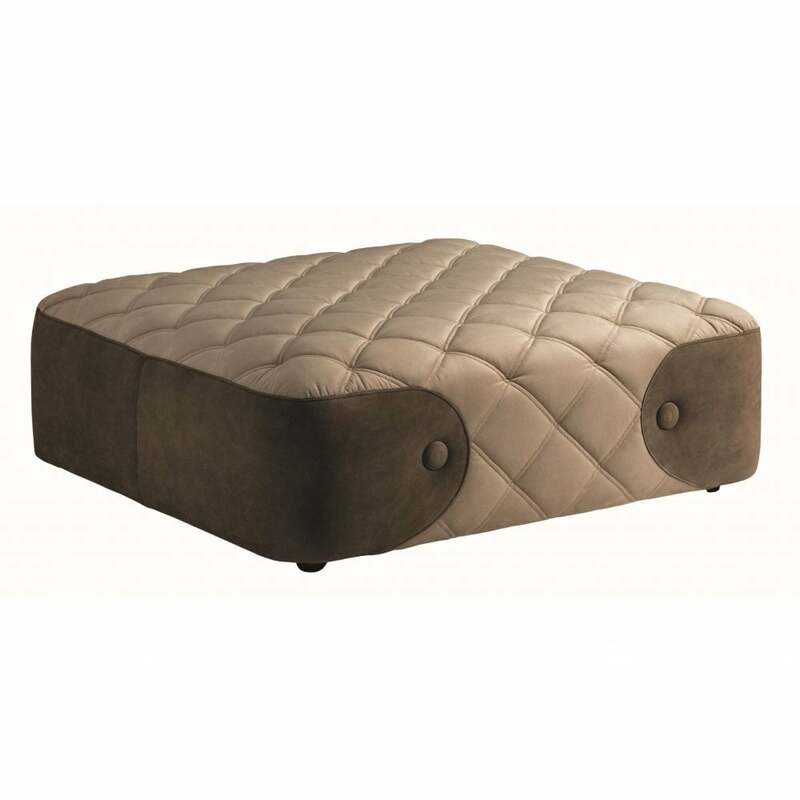 The Wimbledon Pouffe by Daytona will bring hotel chic to any interior scheme. Hand-crafted in the heart of Tuscany, the plywood structure is upholstered with a quilted seat covered in multi-density rubber with an air soft upper layer and all-over surface layer of goose down. The epitome of luxury, the quilted seat is combined with precious nubuck leather inserts and giant buttons to create a harmonious effect. Available in a range of fabric and leather shades, the Wimbledon Pouffe can be made bespoke to your requirements. Make an enquiry for more information.